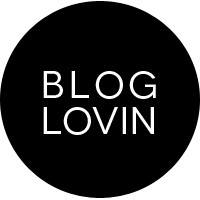 My love for lipsticks has been well know here on my blog. I want every single shade and formula and even though I may have similar or identical shades in my collection, that does not stop me from buying more. I don't remember when I first started obsessing over lipsticks but I always remember picking some weird pink shades when I was a teenager and wearing them at parties and even though I thought I looked good, I looked ridiculous (I have pictures to prove that!) But little did I know that I would grow up and experiment with makeup and try every single shade. 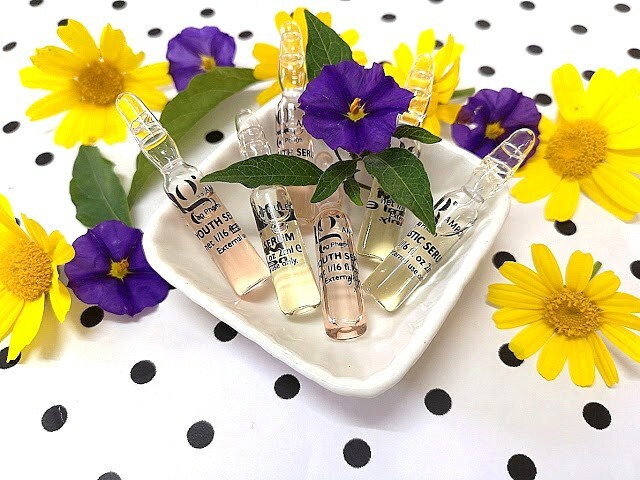 I always have an excuse as a beauty blogger: 'I will buy more since I need to write about them on my blog' is the perfect excuse. No way this is the truth, I was buying lipsticks before starting a blog and had quite a collection, but since starting this beauty blog I was introduced to new brands I never heard before, a good thing for me and a bad for my wallet and bank account. 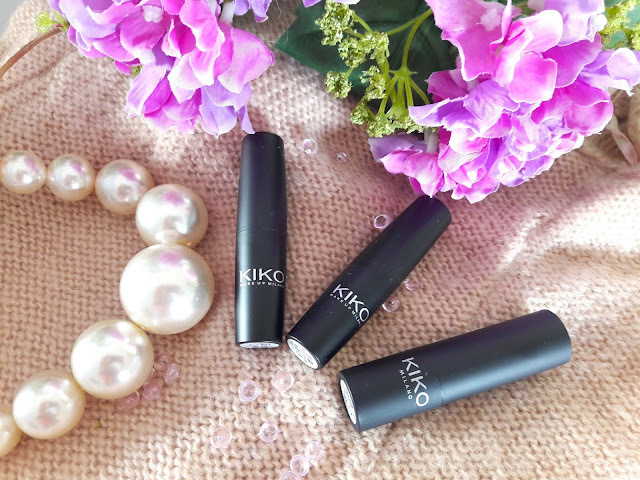 Today I have three beautiful lipsticks I ordered recently from Kiko. I got a great deal in lipsticks and I wish they had more shades available but then again, these were discounted items so I guess they are not re-stocking them. This is a stylo lipstick with a creamy formula that feels comfortable on the lips and it is available in 21 shades, from nudes to dark reds. 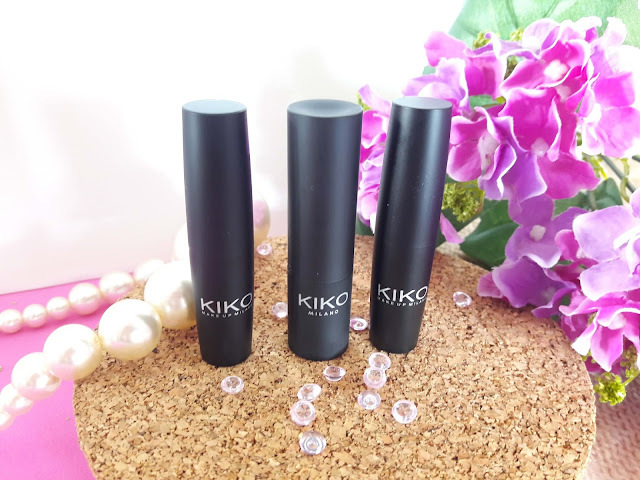 Please note that this is not a new product but it is sold on the Kiko website for EUR 1.00 which is an amazing bargain. 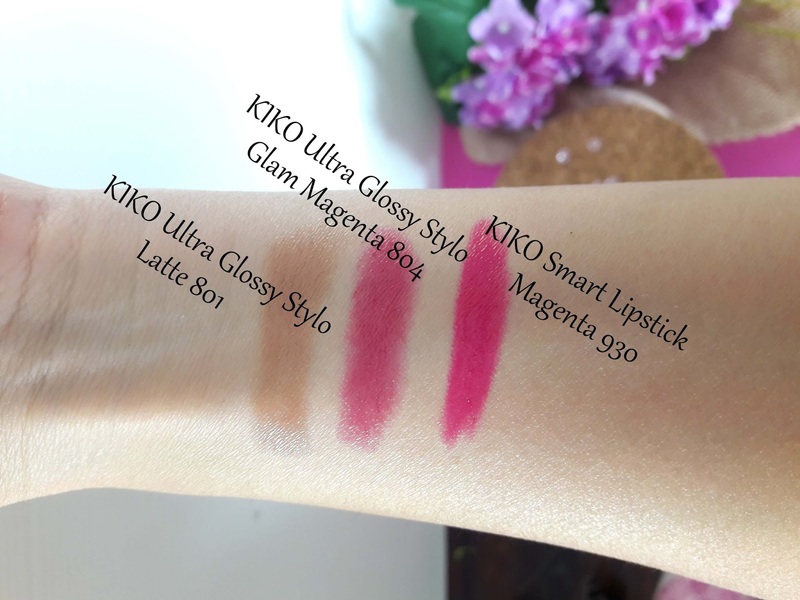 It leaves a glossy finish and feels moisturising but it doesn't compare to the NYX Extra Creamy Round Lipsticks that I adore and give you the nicest feeling when you wear them. It is sheer and needs multiple swipes to give a full colour on the lips and this applies on both shades. These can give you a little bit of stickiness at first and they do not stay on for longer than 3 hours but at that price, I cannot complain. Another gorgeous fall shade from Kiko is the Magenta 930. 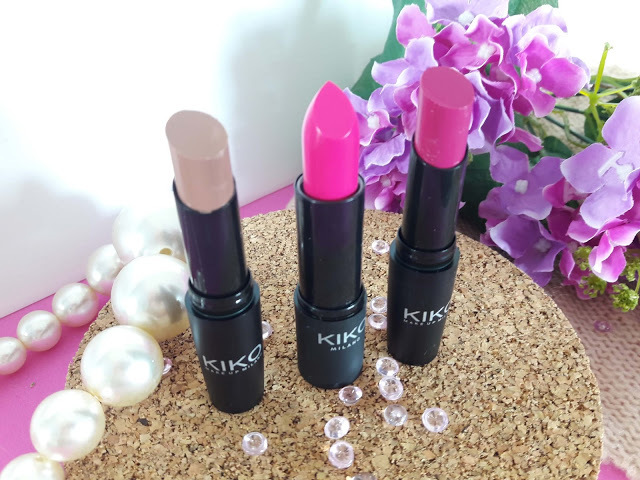 The smart lipsticks are well known for their creamy and silky formula and hydrating and comfortable feeling when you wear them. 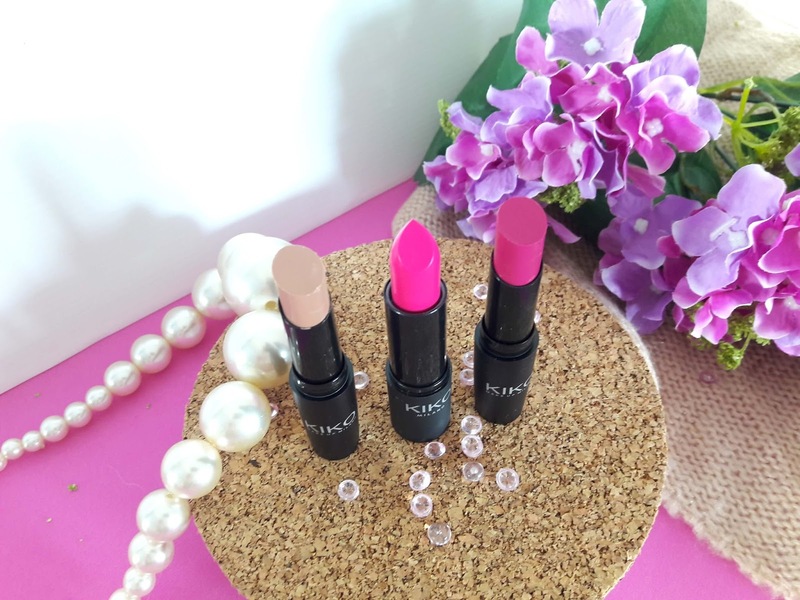 These lipsticks are buildable and leave a pearl finish on the lips. Colour Magenta is a beautiful warm hot pink shade, a dark fuchsia I would say and looks amazing on the lips and leaves a slightly shiny finish. I own very few shades like this one, I didn't think it would compliment my skin tone but it does and I am really pleased with it. With one swipe you get a great amount of colour and with two the colour becomes more intense and slightly darker. It lasts a few hours on the lips but it doesn't survive a meal. When it fades, it leaves a light pink stain which I don't really like so I make sure I re-apply before it does. Have you tried these lipsticks? What are your latest purchases from Kiko?